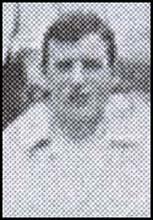 Peter McManus started his football career with St. Barnards Athletic in Edinburgh and won a Scottish Cup winners medal in 1894-95. 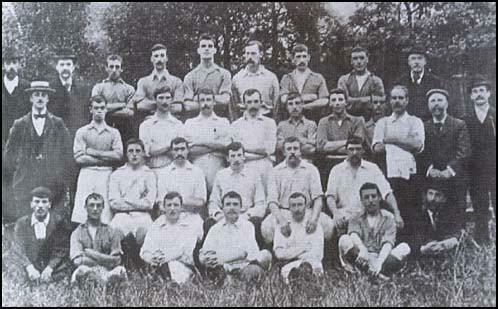 McManus joined First Division side West Bromwich Albion in 1896. 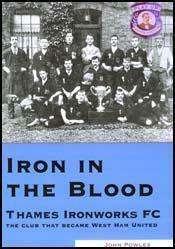 Three years later McManus joined Thames Ironworks. Despite his impressive background he had difficulty getting a place in the first team. He played only 6 league and cup games in 1898-1899. The following season he played 9 games before leaving the club. Tommy Dunn, Syd King, James Bigden, L. Foss, M. Higham, Sam Wright (trainer). Seated; W. James, Ken McKay, Tommy Moore, Albert Carnelly, Tom Bradshaw. Front; J. Walker, Peter McManus, Bill Joyce, Roderick McEachrane, Simon Chisholm.